Are you feeling like you’re getting left behind modern and stylish interiors? Would you like to breathe a new life into your stucco ceilings? Maybe, you realise that the time has finally come to make a bigger change?! Are you tired of eternal cleaning of your stucco ceiling? As its textured effect constantly attracts dust, soot and dirt. Removing Stucco is not a physically simple task for homeowners but is not a death sentence. It can be a messy and time-consuming job for one person, but professional removal by House Renovations provides peace of mind in at least two ways. First, you will appreciate the fact that the task is off your shoulders – you do not have to worry about incurring an unexpected and costly hole in your ceiling. In addition experienced, caring and vigilant specialists that understand your wishes will remove Stucco and upgrade your home in a very efficient manner. 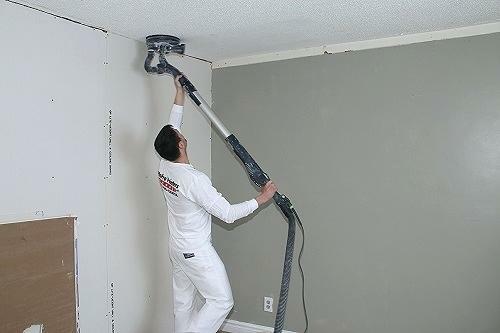 Most stucco removing can be done without requiring major reconstruction of your ceiling plus walk your carpet will not be covered in dust and other debris. We earn your trust with 100% excellence in removing stucco. Get in contact with House Renovations company, Toronto and the GTA.